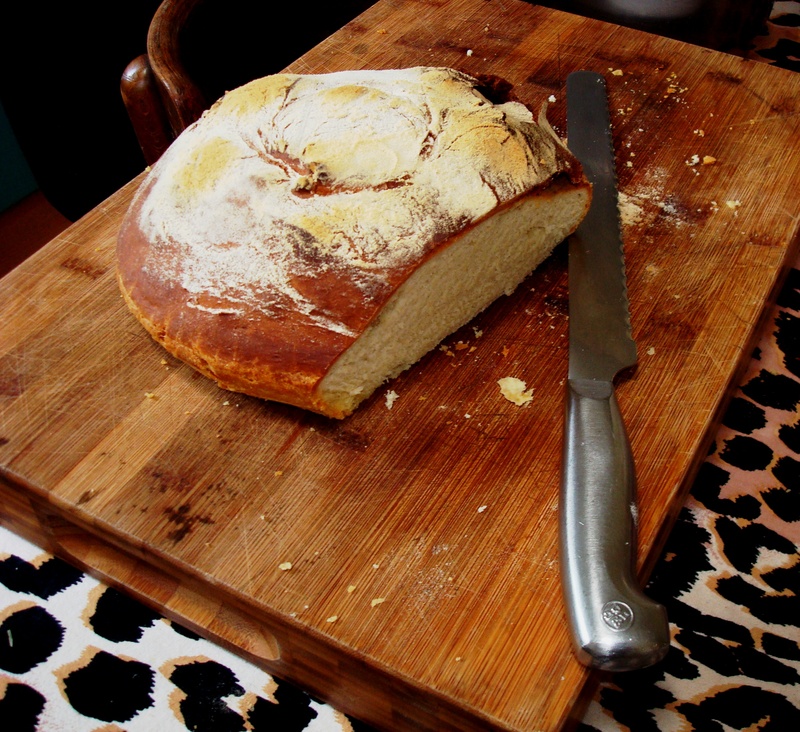 Should you have run out of bread and the guests arrive in half an hour, the Pane Veloce is the only way out. It may not be the lightest bread around, but definitely very nice and fresh out of the oven. One cannot use BIGA for this recipe as it is too slow – use dry yeast. Mix all together, including the yeast mix and knead well (it may be a bit difficult to knead as it should be soft). The mix must be softer than a normal bread and the dough should just stick to your hands (a hard dough does not work for this recipe) add water if not soft enough or flour if too soft. Form dough in a ball and place in a well oiled oven pan (not a bread pan). Cut a circle with a sharp knife, about 15 mm deep in the top of the dough, about halt the circumference of the bread – this will allow it to rise and expand and bake through. Now place your bread in a COLD oven and then turn it on to become 220C when heated. The bread will rise while the oven is heating up and will then bake. I cannot say for how long you need to bake it as it will depend how fast your over reaches temperature – a slower oven is better than a faster one. Use the knocking technique to see if loaf is ready. The Pane Veloce can be made well under an hour from the time you take the flour out of the pantry until your serve your guest fresh bread out of the oven – no bread is faster! !